Medical University of Bialystok. Ethical aspects in working relationships between nurses.. Ethical aspects in working relationships between nurses. Introduction:Code of Conduct and Ethicsfor Nurses and Midwives is kind of a signpost for each and every member of professional association. They are so crucial, that one should not only know them but also implement in everyday situations in practice. Nowadays, in current organizational realities issues mentioned in Code on Conduct which are connected to professional relations in nursing teams in Poland become more predominant. This is why the aim of the study is the evaluation of ethical aspects in professional relations in nursing teams. Materials and method:The study was conducted using the diagnostic survey method with the use of original survey questionnaire. 115 nurses and midwives took place in the survey all of them being active staff and workers of one of the hospital of West-Pomeranian Poland. Results:A tree-step range was used to evaluate the researched issue. Obtained material showed that the professional relations in nursing teams are satisfactory. Conclusions:Research data analysis allowed to formulate a following conclusion: received satisfactory assessment in a given research group can be understood as an average level when talking about ethical aspects of professional relations in nursing teams. This can be seen as difficulties or even the lack of proper professional relations between nurses. This can influence the quality of provided services. Thus, it is important to take into consideration actions which aim at improvement such as special training in terms of psychological aspects of interpersonal relations in teams with regard to practice in particular. Keywords: work ethics, ethical ruler, interpersonal relations. Choosing the contemplation about ethical subjects it is worth mentioning that its basis and value is the broadly understood goodness and basic human responsibilities for other people. The most important ethical experience is the presence of other human being and the meaning of terms such as freedom, personal dignity of every man, ethos or responsibility . The fundamental ethical values also are incorporated into those terms. They clearly describe the sensitivity which is are included in each basic rights which should be present in nurses’ and midwives’ attitudes during their profession. Including the attitude of “constant urge for care” described in Care Ethics or also in Ethics of the Trustworthy Caretaker. Care means here the detailed diligence and the attitude of kindness and goodwill, the trustworthy caretaker, on the other hand, means here, according to T. Kotarbiński, the caretaker who take the actual care which can be characterized by trust and strong support giving the other person. T. Kotarbiński also underlines, that such a caretaker must be a good man him- or herself . The profession of a nurse and midwife demands the broadly-understood acceptation of other person’s behavior and values. The person who, in the most cases, has their own problems or even their own life philosophy. A full contact with a patient requires empathy, high levels of professional proficiency and the responsibility considering complex interpersonal relations which emerges during the constant contact and are describes in altruist idea . They also contribute to the general increase in quality level of care . One should not forget about the fact, that strong bonds may threaten the quality of healthcare over the patient and, what is crucial, have to be accepted by all the sides of such a relation . Only then the cooperation becomes possible and can be understood as “active participation in activities and the desire of reaching a high quality of taking care over the patient, creating an appropriate attitude when it comes to providing care and good, mutual relations with everyone who cooperate with nurses” . In order to create this kind of cooperation equal treatment, values and aims are necessary to be present in relations with all personnel the nurses work with . In research literature the word ‘ethic’ has multiple meanings. In Greek ethike means morality. In W. Kopaliński’s dictionary of foreign terms one can find, that ethic is the “study of morality, philosophy of morality; a particular ethical system; overall rules and norms of behaving which apply in a given era and environment” . Ethic applies to ethos which can be describes as custom or the regular place of living. The morality comes for a Latin tern moralis and means customary. There, such values are perceived: good, bad, conscience, responsibility and righteousness. Both terms ethic and morality became similar to each other in the course of ages. Nowadays, they are used interchangeably [2, 6]. The basic document which specifies ethical rules of nurse and midwife professions is the Nursing and Midwifery Code of Ethics of the Republic of Poland being in power since 2003. It was adopted by the resolution no. 9 by the IV National Congress of Nurses and Midwives  and the Nurses Code of Ethics adopted by International Council of Nurses (ICN) . The understanding of the professional ethics rules of certain values and norms allows midwife and nurse for the safe professional activities . The general rule of the Nursing and Midwifery Code of Ethics of the Republic of Poland constitutes point system corresponding to professional activity and patient’s rights regulations. Furthermore, the rest of the document describes relations between a nurse, midwife and a patient, their attitude towards the professional practice and encourages to work development and to present behaviors which will increase the profession’s prestige in the society . Taken actions, everyday work activities and corresponding relations of nurses and midwives translates into a holistic approach to healthcare. At the same time, those actions requires interpersonal communicating skills which allows the creation of any work relation. The essence of the communication process within a work staff group is the cooperation which is the basis of efficiency of a whole team and is a way of achieving success in the communicating process . While being a part of a therapeutic team, a nurse or a midwife communicates and creates bonds with all of the teammates. In most of the cases those relations emerge which members of the same professional group. The success of such relations depends on the effectiveness of the communication process and the current conditions which influences not only its success but also its effectiveness. Instances can be the omitting of competitiveness, avoidance of hierarchical system, partnership-like commu-nication, empathy, involvement of the team and shift of mindset towards changes and development in order to make the communication of a therapeutic team efficient . The communication is a process which implies honesty, kindness, understanding and respecting others with which we communicate. It is worth mentioning, that the term ‘communicate’ derives from Latin communico <making common, share something with others> . 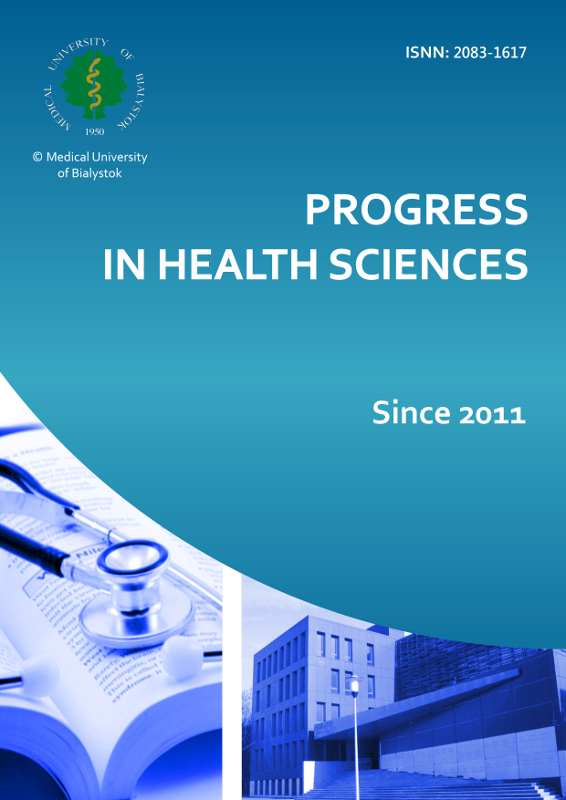 Dynamic changes made in the healthcare system, its ways of organization or the individually taken organizational modifications, such as contracting of medical services, and the consequences of emerging issue of overload of work and dilemmas arising from the question: is the world is being unequal, contributed to high interest of the present authors in ethical aspects in professional relations of nursing teams. Visible barriers in communications and the consciousness of fulfilling different roles in the team became a source of inspiration for formulation of the main aim of this study which is the analysis and evaluation of ethical aspects of professional relations present in the nursing teams. The research was conducted with the help of diagnostic survey and the use of original survey questionnaire. The questionnaire, in paper format, consisted of two parts. The first part consisted of questions characterizing the group in terms of sociodemographic variables such as: age, education, occupation, place of living, facility type, work position and the additional evaluation of the use of Nursing and Midwifery Code of Ethics in everyday life. The second part consisted of six case studies found on the Internet such as professionals websites or situational descriptions and/or observations from colleagues reflecting the professional relations between nurses. Ethical aspects of professional relations in nursing teams characterized in this part of the questionnaire were described on the basis of the chapter IV of Nursing and Midwifery Code of Ethics  in relation to the aspects written in the articles 1-6. The basis for the articles became the citation: “Creation of the need of responsibility for the work done, habit of being honest, reliable, hard-working and precise is the moral duty” . After receiving the hospital’s permission for carrying out research, the present author handed-out 174 questionnaires. We took into account the current work position based in named lists from work hours schedule in a particular facility. Initially, 119 people confirmed the willingness to participate in a survey (about 69% of all employed in a facility of this particular working group). Ultimately, 115 people submitted filled survey questionnaires. The biggest group represented by 58 persons were respondents in the age group of 46 and above (50.4% of all surveyed). People aged 35 and more below constituted the least populous group (20 persons making 17.4% of all surveyed). The majority of people had intermediate level of medical education (medical high school or postgraduate medical school). In total there were 59 people: medical high school graduates (30 people and 26.1% of all surveyed) and postgraduate medical school students (29 people and 25.2% of all surveyed). The minority group was represented by higher institution graduates with BA and/or MA degree. People with BA degree constituted 36 persons (31.3% of all surveyed), MA degree was held by 20 persons (17.4% of all surveyed).Among the researched groups the predominant one was represented by nurses with 76 persons constituting 66.1% of all researched, then 39 midwifes constituting 33.9% of all researched. 66 people were living in a city (57.4% of all researched) and the number of those living in the countryside was equal to 13 persons which constituted 11.3% of all surveyed. The majority of the researched group were the people employed in vaccination units. The hereby statement was claimed by 77 individuals which constituted 67% of all surveyed. 11 people (9.6% of all surveyed) pointed out the option titled as “other” specifying their workplace as, for instance, diabetological center or intervention room. 36 – 45 y. o. In further question of the questionnaire the respondents were asked to specify their work position. Nurse and midwifes constituted here 93 people and 80.9% of all surveyed. 20 nurses and midwifes identified as a functional position among which one can distinguish: vaccination nurse/midwife, coordinator or ward sister which constituted 17.4% of all surveyed. Only 2 persons (1.7% of all the research group) pointed out their position as “other”. A detailed sociodemographic characterization of the researched group was presented in a table 1. Percentage distribution received in a given research group reflects a similar ratio of the total number of nurses and midwifes employed in the hospital in which the research took place. Statistical analysis of the obtained data was made using Microsoft Excel spreadsheet and a statistical suite Statsoft, Inc. (2010) STATISTICA 9.1. During the initial analysis the received research material was described with the use of quantities and their corresponding percentages (percentage distribution of the given opinions were expressed in absolute figures - “N” sample size and percentage values). In further statistical analysis the relations between set variables were searched for. The chi-square test was conducted, where the level of relevancy was set to p = 0.05. The research was conducted between 4th of December 2017 and 21st of January 2018. The main aim of the study was the evaluation of the ethical aspects in professional relationships present in the nursing teams. The survey questionnaire contained descriptions of six situations which, in professional practice, may cause doubts of the ethical nature. Based on the description, given one after another, in the second part of the tool, the respondents were giving opinions on whether the presented situation describes the procedures which are ethical or unethical for any of the characters’ actions – presented in a behavioral characteristics of any of the situations’ participants. In the case of a positive answer the respondents were given the task of placing on a scale to what extend they agree with the situations’ description. Further answers were proposed: I agree to a small extend, I agree to some point, I totally agree. During the further parts of the study, in order to evaluate the ethical aspects of the professional relations of the researched environment, the obtained research data (received answers) were classified by the key sequence which provided the proper evaluation of the ethical level of the respondents. In return for the response pointing to a high ethical code of behavior, the respondent was given 2 points. For the positive response connected to perceiving a particular behavior as an ethical or unethical in relation to a particular occurrences the respondent was given 1 point. Finally, for the response where the respondent perceive a given behavior as unethical 0 points were given. The respondents’ results were, subsequently, aggregated. On its basis 3 levels of evaluation of the ethical aspects in professional relations of nurses were specified which showed the level of knowledge of ethic rules. In such an instance, the respondents’ result was the objective final grade. The grades were as following: unsatisfactory, satisfactory, highly satisfactory. The unsatisfactory level was presented by 20.1% of all respondents (N=27), the satisfactory level was presented by 56.5% of all respondents (N=65), highly satisfactory level was present among 23.4% of all surveyed (N=23). In order to make the evaluation of the ethical aspects even more detailed, in the question number 6 the respondents were directly asked whether they apply or do not apply to the documents of Nursing and Midwifery Code of Ethics and its occurrences with such fixed answers as following: depending on the circumstances, regardless of the circumstances, in professional life, in private life, it is of no importance. Answers to these questions were basis for providing a subjective evaluation of the researched group, which is only a declarative reflection of respondents’ personal beliefs. The received results were classified by the following statements: unsatisfactory, satisfactory, highly satisfactory. Detailed results of the obtained grades were presented in the chart form on the Figure 1. It is worth mentioning that while analyzing the hereby research results, in comparison with the subjective and objective evaluation of the respondents there are some significant discrepancies. This, in regards to the objective of the study – the ethical aspects in professional relations may be a particular reason of concern. On the further pats of statistical analysis the chi-square method was used in order to study whether, from the point of view of a statistics, there are common dependencies between researched phenomena as one of the most frequent method of variable research. A mentioned independent variable is, in this case, the deep understanding of ethic rules/ethical aspects in professional relations (an objective evaluation). As independent variables the following sociometric data mentioned in the part I of the questionnaire was set. Detailed results of these analyses were presented in the Table 2. As it can be observed in Table 2 the result showing the presence of statistically important correspondence of the understanding of ethic rules was received only at one variable: education. In this case the result is unsatisfactory – mostly in the group of the medical high school students, so from the group with the lowest level of professional education. Detailed evaluation of received grades among the respondents were presented on the Figure 2. Ethic, which includes the reflection upon the morality, is the field of interest from the ancient times. Ethical dilemmas may, nowadays, be present in every aspect of a professional life of a nurse of midwife in both relations with patients as well as within the professional group itself . Nursing and midwifes profession team has its own ethic code of profession . The ethic rules presented there are helpful in revolving ethical dilemmas and may support the development of a moral sensitivity of an individual and member within the ongoing research of a professional environment. They are kind of road sign present in the professional career of nurse and midwife . Data received in the course of the research shows only the satisfactory level in this field (see figure 1), which may result in the future in the increased number of inappropriate behaviors in the field of professional relations in the nursing teams in healthcare units covered by the study. Because the work of nurse and midwife are the professions in which one works with the people and for the people, all of the ethical aspects becomes of a great importance. Among the most important requirements determined by the code  are inner discipline which can be used by all of the members of a working group. Teamwork described in the research literature is determined by certain demands such as: showing respect to other people, the behavior representing values such as professional dignity, reliance, patience and courage. Thus, the biggest moral enemy is indifference . The aim of the study was not only the analysis but also the evaluation of the ethical aspects in professional relations. Present authors did not find any other research which in the same way show the researched phenomenon. At the same time, there was a difficulty in making comparisons and analysis of an obtained data in an easy way to cite and compare the own results with the results of other authors. Nonetheless, up to this time, there were conducted many national researches in the field of terms describes in the hereby study, for instance: ethical rules , ethic in the work of nurse [19–20] or the interpersonal communication  in which one could see common elements common with the authors of this study results. And so, following studies of Gaweł and its coauthors showed that the implementation of some of the ethical rules of the professional work of nurses is difficult. Among the ethical values the most difficult to obey in the nurse’s work present authors point out to be: obeying the rule of respecting other people, making good and no harm and the rule of responsibility, justice, honesty and truthfulness . This can somehow explain the results and the evaluation of ethical aspects in professional relations obtained in the study on the satisfactory level which was represented by 65 people and which constituted 56.5 % of all surveyed. Moreover, highly disturbing is the fact that 27 people got the unsatisfactory level (20.1% of all researched). Thus, the highly satisfactory level was reached only by 23 persons – 23.4% of all surveyed. Nonetheless, the results obtained in this study one should interpret as those which shows that nurses and midwifes who participate in research giving right answers will know how to use this knowledge in practice in everyday day at work. Nearly every time, while taking not only professional actions on the basis of the Nursing and Midwifery Code of Ethics . On the other hand, Mroczek and his coauthors concluded that the level of knowledge on the topic of ethics is unsatisfactory. While analyzing the mentioned earlier data the present authors noticed that there is a strong need of deepening of the knowledge about ethics among the nurses . Ethics and values in the nurse profession and ethical virtues of nurses are often an object of a study [18–20,22–24]. The most important could be features such as: conscientiousness, goodness, kindness, responsibility and justice . Rules of ethical behavior of a nurse, which are so important during the communication with another person, are very often describing only the relation between the nurse and patient , with only few exceptions of those describing mutual relations between the nurses. At this point one can formulate a question whether the same values are important when it comes to nurse-nurse relations and nurse-patient relations? It is so important that the crucial element of professional relations is cooperation described as “mutual actions and communication of professional relations with people cooperation with nurses. With particular assumption that goals and values are perceived as equal by all the group members” . Moreover “… cooperation is a basis for proper relations as in mutual help and creation of close relations at work. In such conditions a particular attitude arise and can be defined as seeking the common for everyone goals” . Nurse/midwife – coworkers relations are one of the most common ethic issues in therapeutic teams’ functioning. A huge difference in nurses’ educational level might be perceived as a cause of such a situation. This relation, in the statistical point of view, is proven by hereby research results (see above), which allow to conclude that the lowest level of ethical aspects evaluation was received by people with the lowest level of professional education. This can be further proven by prior study results described in the research literature [20,25]. In comparison with the statutory obligation of knowledge actualization, resulting from the act of nurse and midwife professions the further question arises: is the person, who, despite of huge seniority, was not or even did not want to upgrade their professional skills can be perceived as a professional? And what the term of being a professional means? In such case both of the author’s questions are leaved without a clear answer. Although, the suggestion which allows for making a clear statement in this situation are the words of Glodowska’s title: “ethics and professionalism or Ethics and Professionalism?”. People on the positions of nurse of midwife should, in the authors’ opinions, be the persons with a particular and rigid backbone moral system representing a specified value system. Such system which can be found in its general form in the Nursing and Midwifery Code of Ethics. Regulations written in it should constitute the basis for self-improvement for all of those who represents the nursing society. Assuming that the ethical values are universal and do not become outdated with the course of time – especially while living in the times of constant changes – it is important that the moral attitude which is represented by the nurses was focused on elementary values which are non-transferable for every human being: respect, dignity and honesty . Research data analysis allowed to formulate a following final conclusion: the satisfactory evaluation level of the ethical aspects in professional relations of nurses received in a researched group may suggest its intermediate level. In practice, it may be seen in various actions such as difficulties or even lacks in professional relations. In consequence, it can lead to the decrease of given services. The idea of counteraction of such a state of things may be, for instance, a proper training in the field of psychological aspects of interpersonal relations in teams focusing, among the others, on workshops form. The authors want to thank the Management Body of SPSK nr 1 PUM for giving consent to carrying on the hereby research. Financed with own funds of the authors. Fleming C, Klein D, Wilson C. Forming collaborative nurse – physician interactions: Nurses and physicians unify their efforts with a single collaborative history and physical form. Nurs Manage 1999;30(8):38-9. Quinn S. (Ed.). Cooperation and conflict: Caring for the careers. International Council of Nurses, Geneva 1983. Corser WD. A conceptual model of collaborative nurse – physician interactions: The management of traditional influences and personal tendencies. Sch Inq Nurs Pract 1998;12(4):325-341,343-6. Glen S. Educating for interprofessional collaboration: Teaching about values. Nurs Ethics 1999;6(3):202-13.
International Council of Nurses. Code of ethics for nurses. ICN, Geneva 2000. Bartusek M. Kodeks etyki zawodowej pielęgniarki i położnej – komentarz społecznościowy w Pielęgniarstwo: Prawo – Praktyka – Etyka. Materiały konferencyjne. Wydawnictwo NRPiP, Warszawa 15–16 kwietnia 2013. Lockhart-Wood K. Specialist nursing: Collaboration between nurses and doctors in clinical practice. Br. J Nurs. 2000;9(5):276-80.